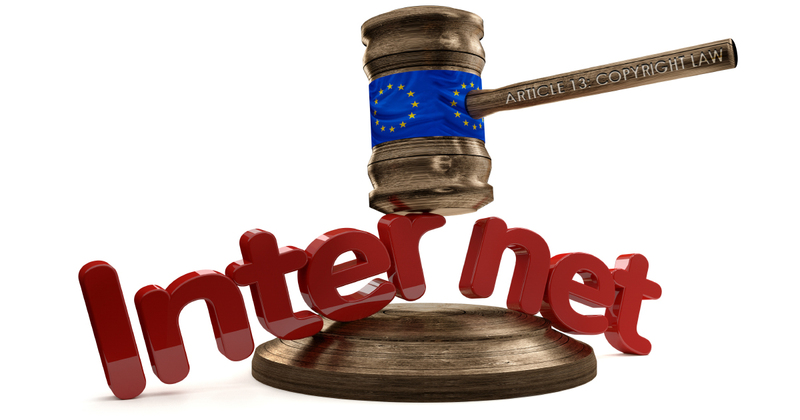 On Tuesday the unelected incorporated European Commission forced the Parliament to take a vote, sending a neutron laser guided assault against free speech and the movement of images, video, audio and text across the internet to update its current copyright rules. Members of the European Parliament went on to pass the legislation by a majority 348 votes to 274 yesterday. The vote came without any amendments from the original Bill which suggests a railroad event enforced by the nation obsessed with censorship of the facts. An essential ingredient when you are pushing a fake and inverted narrative in all quarters of global society. Very aptly named Article 13 or for those less excited by numbers, ‘The Directive on Copyright in the Digital Single Market’, has placed the entire copyright burden on the internet platforms that hold all your musings and imagery, who, from the day your nation ratifies the current rules into their own legislative body, will be legally responsible for the content hosted and shared on all their platforms. The digital copyright changes have been incorporated into E. U. internet platforms over the last two years, so they are already synchronised with all the changes they intend to enforce in the next two years. The boiling frog method being employed. All EU member states have two years to pass their own laws putting Article 13 into full effect. He who makes a claim against another must evidence that claim before action can be taken. If your provider makes any claims against copyright, then it is they who must present statements from every person they make that claim for, before there is a claim. You’re Medical Data Under Artificial Intelligence, What Will Justice Look Like?